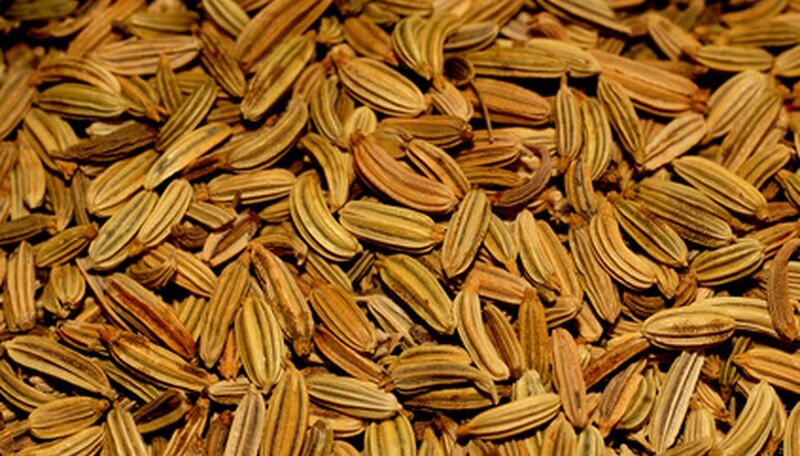 The herb fennel, also known as sweet fennel, is grown for it aromatic seeds that taste similar to anise. A perennial herb hardy in USDA zones 3 to 9, fennel is an annual only in warmer climates. Sweet fennel and fennel oil are great additions to many Italian or Mediterranean dishes including desserts. Planting fennel in your garden is quite easy as long as you have the proper amount of space. Choose a spot in your garden that has rich, well-drained soil and full sun. Improve your soil by working in 3 to 4 inches of compost or manure per square foot to a depth of 5 to 6 inches. Prepare the area by raking the soil. Sprinkle fennel seeds into the soil about 18 inches apart and cover with ¼ inch of soil. Water the fennel until the soil is moist. Plant fennel in the spring about a month before the last frost. Keep the soil around fennel moist during the entire growing season. Fennel cannot handle daytime temperatures higher than 85 degrees F.